Are there certain features of your face that you are unhappy with? Is it too round or too square? Is your chin weak or overbearing? Is your jawline too angular or not angular enough? Do you wish your nose was straighter or thinner? Are your lips asymmetrical or not proportioned? Are your cheekbones not as well defined as you would like? Let’s be honest. Just about everyone has some part of their face they would like to change. Both men and women deal with this issue. 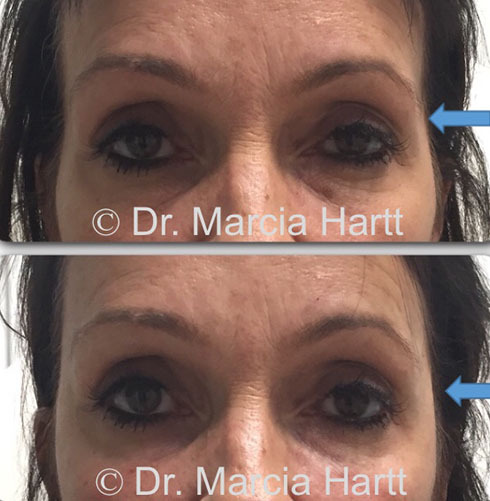 Dr. Marcia Hartt uses InfraRed (IR) Skin Tightening Laser and advanced injection techniques to artistically and skillfully apply a combination of dermal fillers and neuromodulators to contour your face and enhance your best features. Results are immediate with minimal downtime. Dr. Hartt has more than a decade of experience in the art of facial contouring and is well known for the natural results that she achieves. 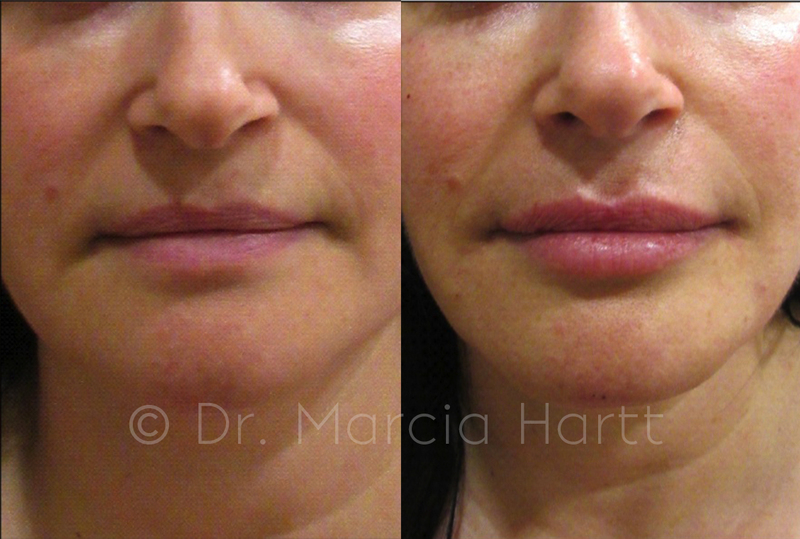 Check out the Before and After gallery to see examples of Dr. Marcia Hartt’s work. Book your free consultation with Dr. Marcia Hartt today! The lips are a strong focal point as we interact with other people. Your mouth conveys a lot of expression as it moves to form words. It displays emotions and is a sensual and intimate area. Lip contouring is suitable for both young and mature clients. Contouring can be subtle or dramatic, that is your choice. If you’ve grown frustrated trying lipstick formulations to plump your pucker, or wish that your smile was more symmetrical, lip injections can enhance your smile beautifully and naturally. As one ages, the skin’s natural ability to produce collagen and elastin decreases, and fat loss occurs in the face. This is true for the lips as well which causes the mouth to lose its definition and fullness. Lip contouring treatments use dermal fillers to add volume and structure back to the lips with effects that usually last 6-12 months. Book your free consultation with Dr. Marcia Hartt today, and put that beautiful smile back on your face! Get the profile you’ve always wanted! You may think that making changes to your nose requires plastic surgery, but Dr. Marcia Hartt offers non-surgical rhinoplasty treatments that can change the shape of your nose without surgery and with no downtime. 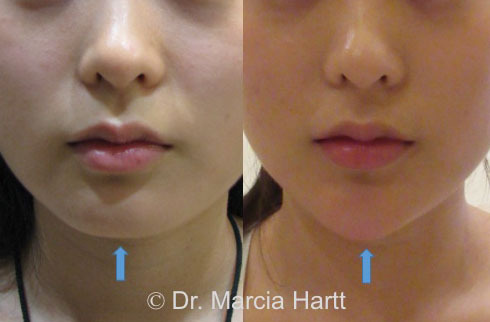 Dr. Marcia Hartt performs non-surgical rhinoplasties by using advanced injection techniques to artistically and skillfully reshape your nose with dermal fillers. Results are immediate and natural. She can add more definition to the contour of your nose or nasal tip, straighten out those lumps and bumps, or even reshape your nostrils. 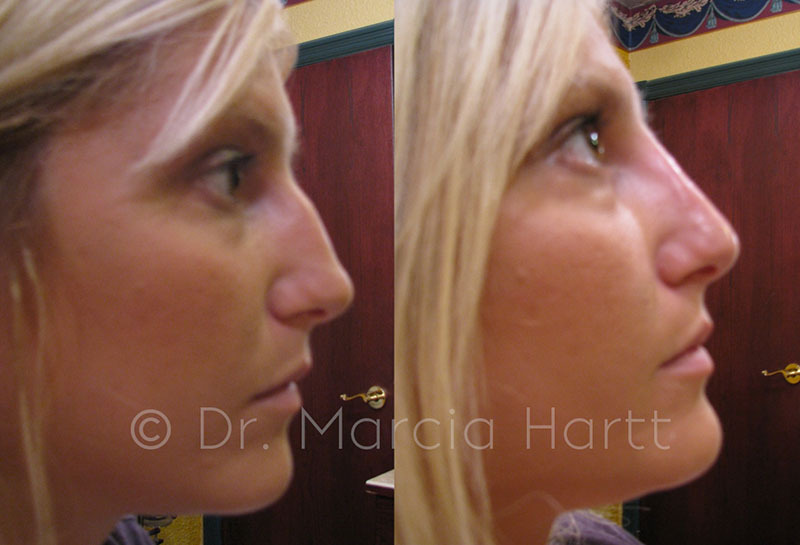 Non-surgical rhinoplasty can help correct asymmetry in your nose and improve the visual balance of your face. Book your free consultation with Dr. Marcia Hartt today and explore the possibilities.